Violence has always played a defining role in the evolution of video games. The release of Death Race in 1976 was one of the earliest video game controversies, even though the monochrome pixelly game was barely capable of showing any violence (players could run over stick figure people and turn them into tombstones). In the years since, the advancement of video game technology has led to more realistic and gratuitous displays of blood, guts and gore on our computer and TV screens. 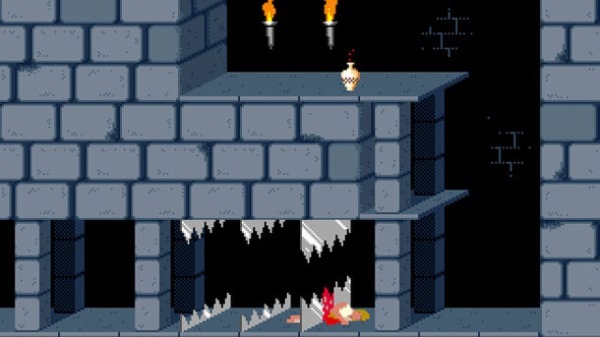 The original Prince of Persia was a tricky and skilful platformer which wasn’t kind to players who mistimed their actions. Unlike most cartoony platforming video games, Prince of Persia was very unforgiving and fairly realistic as the character couldn’t perform impossible inhuman leaps or jumps (the developer used a rotoscoping technique so the character model moved as fluidly and realistically as possible). The game also featured some surprisingly violent death animations. 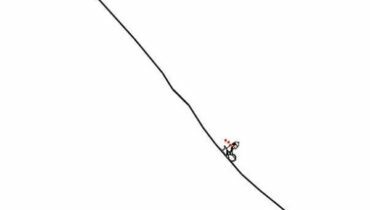 Players could impale themselves on spikes, get cut in half by blade traps or turn into a crumpled mess if they fell from a great height. Although graphically simple, the deaths are sudden and shocking for a game from this early era of video games. Seeds of Evil was the gory second instalment of the first person shooter dinosaur hunter series Turok. 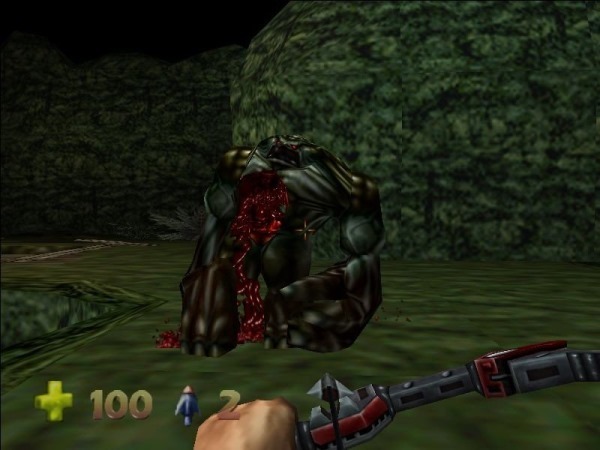 The game featured some surprisingly innovative weapons which produced big globs of gooey blood when fired at enemies. Exploding arrows reduced dinosaurs to flailing torsos, the shotgun could blow a hole right through an enemy’s chest and the spinning Razor Wind blade bounced around rooms dicing anything it passed through. However, the standout weapon by far was the Cerebral Bore. When this projectile successfully latched onto an enemy’s head, their brains would shoot out onto the floor like a brown fountain of goo. Although the violence was always cartoonish (it was released for a Nintendo system, after all), Seeds of Evil was a surprisingly brutal and gory shooter. Probably one of the most notorious ‘video game nasties’ of the 90s, the violence in Mortal Kombat helped it become a global phenomenon. Of course, it didn’t hurt that the game was one best arcade fighters of the time, but the series owes much of its success to its brutal ‘Fatalities’. 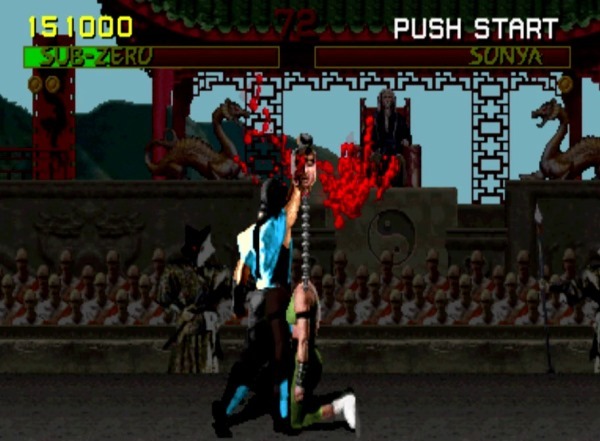 Some of these finishing moves include Kano’s heart rip, Johnny Cage’s decapitating uppercut and Raiden’s execution by electricity, but the best has to be Sub-Zero’s ability to pull off his opponent’s head with the spinal cord still attached. 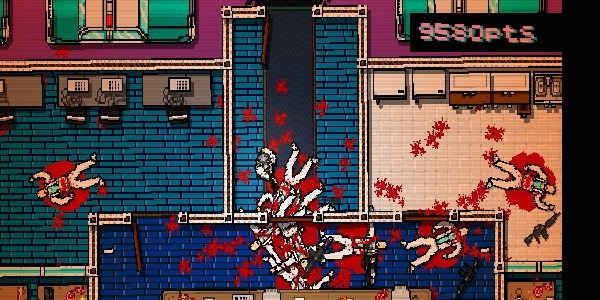 One of the most stylishly violent video games ever made, Hotline Miami is a top-down shooter which is clearly influenced by Nicolas Winding Refn’s violent crime movie Drive (the developers gave thanks to the director in the game’s credits). 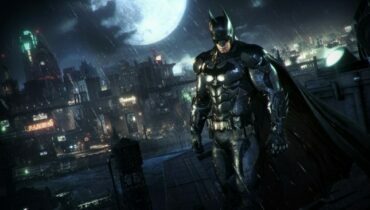 The game’s simple graphics are surprisingly detailed and they allow for some brutally intense moments of violence. The wide range of melee weapons (which include bricks, bottles and cleavers) each have their own execution animation which players can used on downed enemies to reduce them to a bloody mess on the floor. The ‘top-down’ camera style makes the shootouts look like a sweeping shot from a Tarantino or Scorsese movie and the game’s stellar synth soundtrack is the perfect accompaniment to the on screen mayhem. 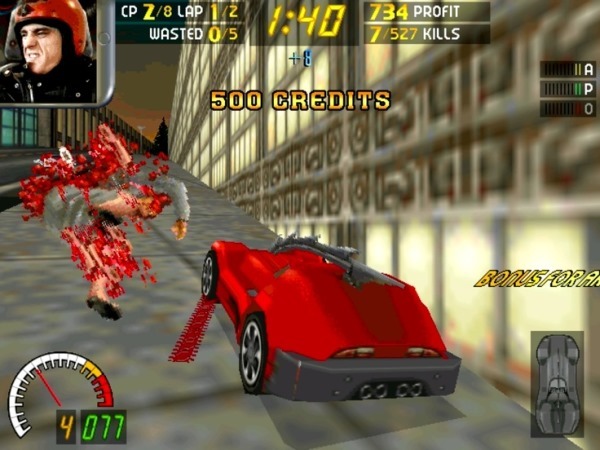 Another video game nasty from the 90s, Carmageddon received so much controversy that they released alternative versions of the game for the UK and Germany. The futuristic racing game awarded bonus points to players who ran over pedestrians, and the developer’s had to change the pedestrians to zombies and robots for the countries which objected to the onscreen bloody violence. Although it was a clunky racer which didn’t have the most fluid controls, Carmaggedon’s arena-style courses and love of carnage (most racing games at the time didn’t really encourage players to smash into each other) made it a fun and memorable gaming experience. Criticised for glamorising the idea of ‘snuff movies’ (which it basically does), Rockstar’s Manhunt is actually a surprisingly creative and inspired take on the stealth genre. Taking control of a death row inmate who is offered the chance of freedom if he participates in making a snuff movie, players are graded by the speed and brutality they complete each level. More stars are awarded for the more violent executions of enemies, but players must be as stealthy as possible to achieve the maximum brutality ranking. Although there is a level of skill to this stealth gameplay, there is no denying that the violence in Manhunt is visceral and shockingly realistic. Using common everyday items like plastic bags and screwdrivers, enemies are beaten, choked, stabbed and basically mutilated in some of the most shocking cut scenes in gaming. The Nintendo Wii may be an unlikely candidate for having one of the most outrageously violent games ever made, but the family-friendly console was home to the dementedly fun and outrageous MadWorld. A third-person, open environment brawler, MadWorld takes place in a futuristic game show called Death Watch. Each level is a different set from the crazy game show which sees contestants racking up points for killing attackers. 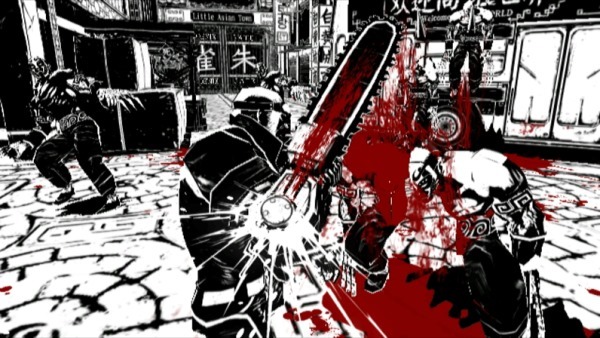 MadWorld’s over-the-top ultra-violence is made all the more shocking by the creative decision to primarily use a black and white palette for the game’s graphics and visuals. The screen comes alive with red colour when blood is spilled (which is very often) and the high contrast black and white gets coated with gore. 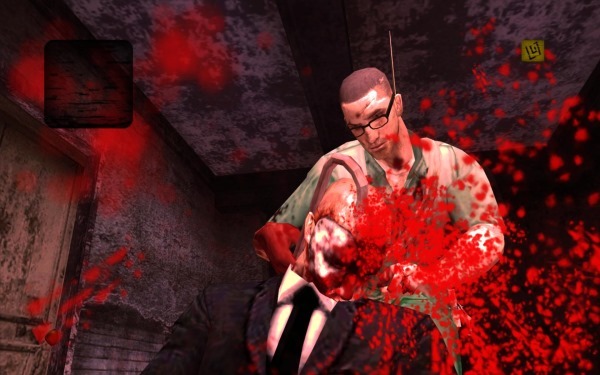 Although it’s a darkly humoured game and the gore and dismemberment is deliberately cartoony, the violence on show is still one of the most extreme examples in video games. The hack ‘n’ slash content of God of War III isn’t anything new for the genre in terms of violence, but the interactivity of the brutality is almost completely unparalleled. Determined to kill all of the Olympian Gods, series protagonist Kratos cuts through droves of enemies as he pursues his vengeance-fuelled quest. God of War III features several ‘boss fights’ which use interactive cut scenes with Quick Time Events so players can dispatch each God in as grisly a way as possible. One of the most memorable cut scenes follows Kratos’ confrontation with Poseidon. Switching to Poseidon’s first person perspective, Kratos pounds the defeated God in the face and smashes him violently against the floor as the camera shakes and bounces with each blow. 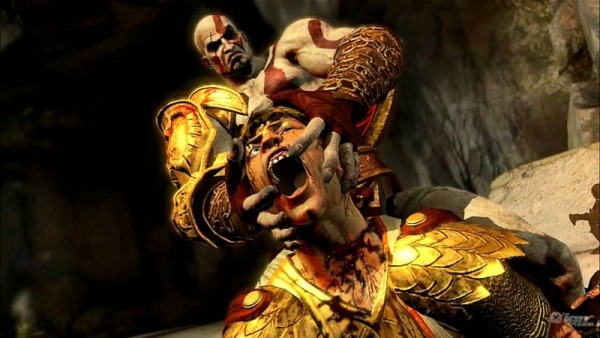 However, the most horrific moment is when Kratos plunges his fingers in Poseidon’s eye sockets and players have to recreate the motion by pressing in the analog controller sticks on the PlayStation control pad. Soldier of Fortune is an underrated and largely forgotten first person shooter made by Raven Software. The game is a fairly solid but mostly generic shoot ‘em up which made its name thanks to its shocking levels of violence. Soldier of Fortune’s graphics engine uses ‘gore zones’ to allow the complete mutilation of character models so players can shoot off enemy’s limbs, blow chunks out of their heads or slash them to ribbons with a knife. 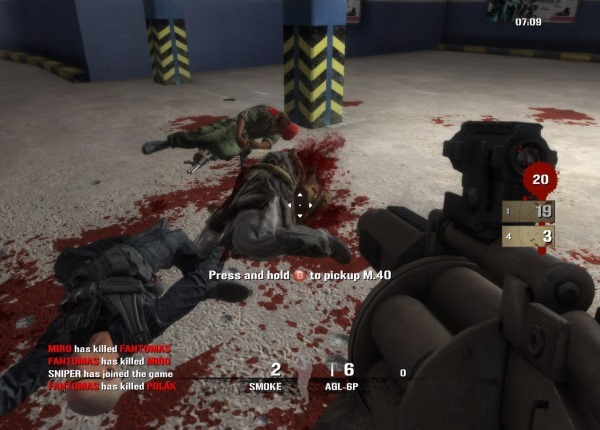 Soldier of Fortune also featured unique death animations, so it wasn’t uncommon to see enemies writhing in agony as they fell to the floor or clutching at their wounds as blood spurted out. Interestingly, Soldier of Fortune is one of the few games which allows players to disarm enemies by shooting their weapons out of their hands, but this wasn’t as fun as going for the bloody rampage option. Grand Theft Auto (GTA) is now one of the most popular franchises in video game history, but it started from humble beginnings. The original GTA released in 1997 was a top-down sandbox game with simple 2D graphics, even by the standards of the time. However, GTA allowed players almost total freedom in the way they played the game, and this meant they could pretty much kill anything they saw on screen with extreme road rage or with help from an arsenal of weapons. 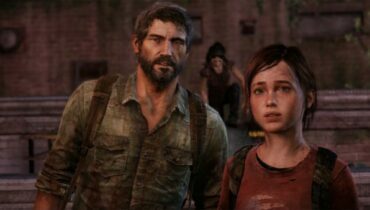 It may seem tame by today’s standards, but the sight of these small blood patches of red sprites gained the series huge controversy. Of course, a huge part of this outrage was the fact that players could kill innocent NPCs for no real reason. 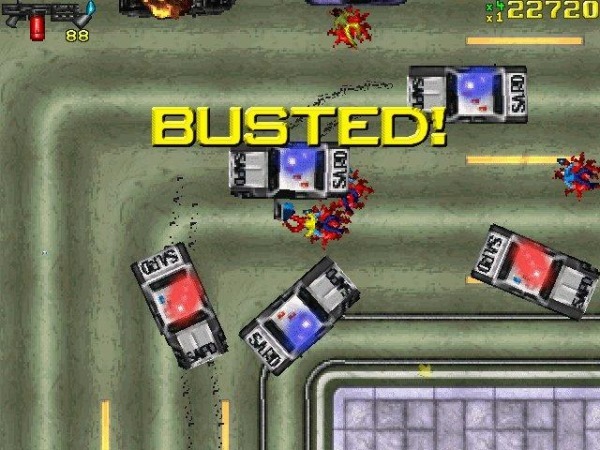 Before the release of GTA, most violent video games were given a free pass as long as the violence was being committed against villains or other enemies. GTA was one of the first games that allowed players to kill pretty much indiscriminately, and it even rewarded players for killing as many people as possible within a set time limit (the ‘Kill Frenzy’ side missions) or for running over an entire group of Hari Krishnas in one go (awarding a ‘Gouranga’ points boost).